TRENTON, N.J. (CN) – Beachfront homeowners ravaged by Superstorm Sandy may lose portions of their property to the state after a New Jersey appeals court ruled Thursday that easements and condemnations are perfectly legal under eminent-domain laws. The legal squall between about two dozen homeowners and state officials has been raging since 2013, when Gov. Chris Christie signed an executive order directing a new government office to move swiftly to acquire property in efforts to reconstruct the Jersey Shore. Superstorm Sandy hit in October 2012, causing nearly 150 deaths, 12 of which were in New Jersey, and an estimated $65 billion in property damage. New Jersey officials in 2013 expected to spend $30 billion in repairs. 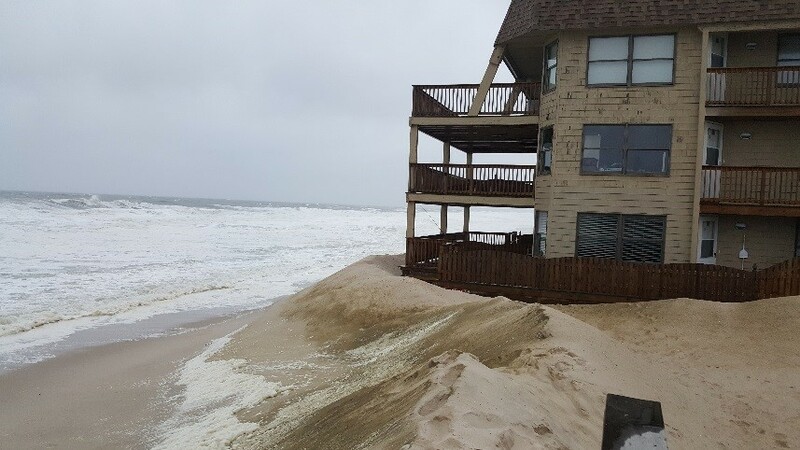 In an attempt to rebuild the dunes and protect against future storms, the New Jersey Department of Environmental Protection has since bought out hundreds of homeowners along the shore. The DEP also asked about 2,000 more homeowners for easements to rebuild. Some homeowners did not want to sell, however, while others balked at the easements, claiming the offers made by the state were too low. Eminent-domain laws allow state agencies to seize control over property, but require the state to provide fair value to homeowners. The methodology involved in calculating fair value is murky, though, sometimes leading to legal battles such as this one. After a group of residents with 23 properties in Long Beach Island and Ocean County refused to sell the agency filed condemnation complaints. A state assessor also tried to visit the homes of the so-called North Beach 1003 defendants to prepare valuations, but only a handful of owners allowed it. In 2015 Christie enacted the “nuclear option” and filed roughly 30 eminent-domain lawsuits to set up easements so the U.S. Army Corps of Engineers could construct protective dunes by early 2016. Continuing to rebel, however, the homeowners filed their own suit, claiming state officials did not act in good faith to negotiate fair value prices for their homes. Several towns also sued the state, claiming existing bulkheads and rock walls are sufficient and the construction is unnecessarily marring property. A trial court sided with the state in 2016 regarding the North Beach 1003 defendants and a separate group of homeowners, supporting the state’s authority to condemn private property. Agreeing with that ruling today, the New Jersey Appellate Division found that the state’s 1971 Eminent Domain Act traditionally has been used by municipalities to seize control of property for shore improvement, but that it also allows the state to do the same. Writing for a three-judge panel, Judge Robert Gilson said the 1971 statute was intended to “grant broad powers and discretion to the DEP with regard to shore protection,” and that New Jersey’s Legislature has expanded DEP’s shore protection authority in the past 50 years. Further, nothing limits how long DEP can take a property or issue an easement, Gilson wrote. The agency also met its burden to provide fair value for the condemned properties when its assessor tried to meet with homeowners to valuate the properties, according to the 49-page opinion. The assessor had valued homes in general at 10 percent more than their current value, with some then being adjusted for loss of ocean view due to the new dune construction. This was a sufficient starting point for negotiation, Gilson wrote, but some property owners spurned the invitation or never got back to the assessor. Additionally, homeowners “provided no credible information supporting their opinion that the DEP’s offer was too low … [they] merely disagree with those values,” Gilson wrote. William Ward of Carlin & Ward, an attorney for the North Beach 1003 homeowners, said his clients “are obviously disappointed” by today’s ruling but haven’t decided whether they will appeal to the state Supreme Court. “The issue that really sticks in everyone’s craw is that they are taking private property for a public beach,” Ward said, noting that DEP commissioners still have to determine final valuations for the properties. Rebuilding efforts after Superstorm Sandy have been controversial in recent also due to delays and overages. Some New Jersey homeowners along the beach are scrambling to meet a June 30 deadline to elevate their homes. Rising costs and delays also have caused problems in New York state, which was hit by the storm. This morning’s appellate court ruling comes a day after the resignation of Feniosky Pena-Mora, who had headed the New York City Department of Design and Construction overseeing rebuilding efforts in the city, after reports about the “Build It Back” recovery efforts.